We, at the Department of Languages and Mass Communication in Kathmandu University, had been planning to organize some kind of program that could promote intellectual, academic and professional sharing among the faculties. Finally, we started the Friday Lecture Series from 2010 September 10. Our colleague Kashiraj Pandey, Assistant Professor of English at the Department, initiated the Series and presented a paper dealing on different dimensions of teaching and teachering. His presentation was followed by a short discussion session, where the faculties from the Department shared the best and worst moments of professional lives. I also shared one of best moments I had experienced as a teacher followed by recollection of an incident I had been considering the worst in my teaching life. It was during this course I remembered Preeti, a former student whom I taught in Madan Bhandari Memorial College and whom I had not met since that incident. While telling about the incident and thereafter, my eyes were full of tears and finally I could not speak a single word. My colleagues said that they had never seen me in such an emotional state. As a teacher, I have been enjoying both respect and affection from my students. I always keep ‘asymmetrical but full of sahridayata‘ relationship with the students. My view on the teacher-student communication in the classroom is geared by the belief that it is the site and situation, at least, in the cultural contexts of Nepal and India, where prevails asymmetrical relationship between the communicating parties (the teacher and the student), but with the experience of sahridayata. Only two incidents have gone contrary to my belief: the case with Preeti was the first one. However, her case has been subjected to reinterpretation very recently. And, at this juncture, it has contributed for strengthening my belief. 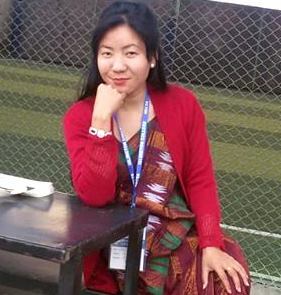 Preeti was my student in Madan Bhandari Memorial College, Kathmandu. She was studying B.A. majoring in mass communication and journalism. Like her classmates, Preeti also used to interact with me even outside the classrooms. During classroom presentations and other conversations I found her candid and insightful. However, it was due to my daughter I took special attention to her. I used to take my elder daughter, Supriya Yashaswinee, to the college sometimes, especially during programs on Saturdays. During such visits, Preeti and Supriya developed affectionate relationship; of course, the chocolates and biscuits presented by Preeti being the decisive factor. It is not that other students had not gifted anything to my daughter; but she liked Preeti most. Supriya used to remember Preeti time and again, and hence I was aware of their relationship. One day, in the year 2005, the students were supposed to present on their respective topics as assigned by me. Preeti also had got some topic that I don’t remember now. But, she failed to do so. It was unusual to her previous performances. I was very unhappy to see her not being able to speak a word on the topic assigned. Worst, I did not see her attentive to what others were presenting. At one point, I asked her to just stand up and interrogated why was she behaving in that way. Other students started laughing to her careless expression. Her response alone was sufficient to make me embarrassed. Other students’ laughter made me furious. I not only ordered them to keep quiet, but also ordered Preeti to get out from the class. At that very point, the situation became quite awkward. All students were stunned, and Preeti was shocked. After a while, she spoke in very soft voice, “Sorry sir,” and she left the class. I asked another student to continue the presentation. After that incident, Preeti never came to the class. Later, I asked her classmates but they could just say that she left the college. Till very recently, I was unaware of her whereabouts. It was a kind of mental burden for me that one student had left the college after such a bitter incident. Moreover, my daughter used to ask about Preeti time and again, and that would certainly increase my despair. In the course of time, my daughter forgot about Preeti. In my case, she went from conscious mind to the subconscious. But, while my colleague Kashiraj Pandey asked to remember the worst moment in my professional life, my subconscious mind got activated, and I just remembered Preeti. The disappearance of Preeti from the college, and incommunicado between her and me, was in every respect contrary to my belief of ‘asymmetrical, but with full of sahridayata‘ relationship between teachers and students. Yes, my eyes were full of tears and finally I could not speak a single word. Thus, the first episode of the Friday Lecture Series ignited my restlessness. “God! here is Preeti,” I just became happy. The chatting continued for about an hour. Finally, I could get what had happened. According to Manushi, it was extremely painful for her to be ousted from the class. It would not be unbearable if she had received such treatment “from other teachers,” and she “would just join the classes the very next day.” As she explains, it was not her anger toward “Nirmal sir,” but rather it was her disgrace for not being able to show appropriate respect to her “beloved” teacher, who was “highly regarded” and “very popular,” that made her impatient. And, she supposed that the classmates also would tease her for being ousted by even such a “kind hearted” and “friendly” teacher. She blamed herself for that incident. Consequently, she gave up her study here and went to India for further study. As I have been communicated, she not only did well in her study, but also has got job in a UN agency. I asked her why she had not been communicating during all these years. She said that she did not “dare” to contact me due to some sort of fear, but she always wanted to beg pardon as she had something “unbearable” within her mind. When she saw me in facebook, she could not resist sendin the friend request. To be accepted as a friend in facebook was a positive node for her, and finally, she decided to greet her teacher. As conversation continued, we both not only expressed the sadness due to that incident, but also could overcome the mental burden we were keeping in our minds. In her part, she says that she never thought me negatively. Rather, she also blamed herself. Moreover, she always remembered my “persuasive” statements, and always tried to get lessons from those statements. She had always thought of meeting “Nirmal sir” one day. Thus, we both were sharing the same feelings even though we were not in direct communication for years. We had not fallen outside the domain of sahridayata. Teaching is not just a means of earning for me. I have not come to this job as the last resort. I have given up such jobs that were more lucrative in terms of money and other tangible standards to choose this desired work of teaching and learning. Hence, students are not just receivers for me; rather, they are sahridayas with whom I am engaged in the process of sadharanikaran. While I am writing this article, Preeti is online on facebook. She is seeking to fix the date and time for meeting face to face. She has come to Kathmandu just for a couple of days. This article consists of some words (viz., sahridayata, sahridaya, and sadharanikaran) as key concepts. These terms are drawn on from my research works (for e.g., Adhikary, 2003, 2004, 2007, 2008, 2009, 2010). Adhikary, N. M. (2003). Hindu awadharanama sanchar prakriya (M.A. Thesis). Purvanchal University, Nepal. Adhikary, N. M. (2007). Sancharko Hindu awadharanatmak adhyayan. In N. M. Adhikary, Sanchar shodha ra media paryavekshan (pp. 93-138). Kathmandu: Prashanti Pustak Bhandar. I think Preeti is very lucky student to get u as a teacher in her journey of life, she got a turning point of her future. Really, this world became very materialistic but you prove yourself that there is something in this world which can’t be measure with money i.e. giving only giving without hoping of anything. You are good human being as well as good teacher who guide others in the journey of life. Though I am in KU, and your student, I assumed myself to be one of Preeti’s Classmate while going between the above lines. I think, “Nirmal sir” is an inspiration for the doers and a burden for those who pretend to be doer. I know hem raj sir would like me to give specific impression over the text (oops!) but all i could say is i liked the whole story behind the experience (both preeti’s and how nirmal sir remembered her again) and the essence behind the write up. I have met many teachers in my life, but Nirmala Mani Adhikary is the only one teacher with whom I established emotional relationship. I still remember the first time I talked with him outside of the class and asked about “How meditation creates knowledge.” The answer of the question brought me very close to him. Thank you for your guidance. Great! This is a fine example of the power of reflection. Happy I am to read the post where my colleague Nirmala Mani Adhikary could finally get rid of all sense of confusion whether he was also guilty for the cause of Preeti’s exclusion from the college. During the process of reflection, the reflective practice I would call it, he really became emotional remembering the painful moments , and gradually it worked as catharsis taking both (the teacher and student) to a great understanding. Congratulations. This is the life of a teacher, whose happiness comes out of the students’ success. I have some advantage of commenting much later than other readers; I could see the extent of subjectivity/objectivity with which the story is read. My delay has been intentional. It would be good to wait a little more, but I can’t help following suit. I knew the story — from the moment it was narrated and when Nirmal Ji told of the developments. I read between the lines, both as an editor and a reader, and above all as Nirmal Ji’s friend and colleague. My perspective is shaped by my familiarity with the story and my personal liking for it and my relationship with the author. I requested him to bring it into writing for our choutari readers, which he did with a day-long hard work and with utmost honesty for the incident, its main character(s), and readers. I knew my editorial choice for his story was appropriate: the story has turned out to be really touching. It scores highest (so far) in WordPress’s statistics for clicks and readings. My congratulations to the author. I ask him to unravel more such stories ahead. I am sure a teacher has loads of things to share. To be more objective (am I yet, and shall ever be? ), I would not miss appreciating the author’s excellent knack for story-telling, which is much more teacherly than the experiences he narrated to us earlier. The reason is: now he correlates this particular incident with his own scholarly pursuits, his studies in sahridayata. Or, interestingly, he takes two-fold advantage of the narration: first, by using it for a cathartic relief (or for unburdening himself from the sense of guilt that he had borne for a long time); second, by connecting it with the subject of academic research. His experience is rare for a devoted teacher. Equally, I have never heard of a young man/woman taking the case of dignity so seriously as to forfeit a college. This, in my opinion, turns out to be the most dramatic part of the incident and makes Preeti a striking character. But, who is the real hero here — Preeti, who waits first in detachment and then in disguise to narrate the actual turn of events and finally dares to do so; or the teacher who waits first in agony to know what had happened and later in amazement to confess what he felt? No one of us ever know what life gifts us. Time twists our story and sometimes takes us to our grief and sometimes embraces us with joy. Being a student, what I personally feel is, I may be studying with same ‘Preeti’ too.. The psychological impact turns the life of one. It is just that whether to run away from the situation or face it matters. Yes, Preeti shaped her career in other college, but if she hadn’t run from the situation and learned more from you and had she faced you, she would to have learnt more. Whilst, the incident wouldn’t make you that unhappy like it made you. Thus, I don’t think that it was your mistake or preeti’s mistake. It was mistake of time and age. Finally, thank You for sharing such a mind-striking moment of your life. Knowing an aspect of your teaching life is much to learn from. I really liked the way you did not forget Preeti even though she left the college. This really proved, you not only care for the students within the premises of college but are there for your students after the completion of academic duration. Sharing my experience would be a little different of how others responded but even i do believe that nirmal sir really is a teacher maintaining a sahridayata with his students. As a 1st year student it had been difficult understanding him and his teaching styles but as time passed i got to know much more things about him. He indeed is an inspiration for all the students. And i really consider myself lucky to have an opportunity of learning few things from him.